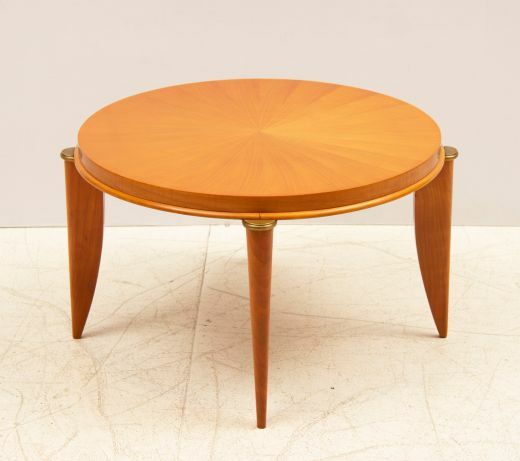 Art deco coffee or side table. 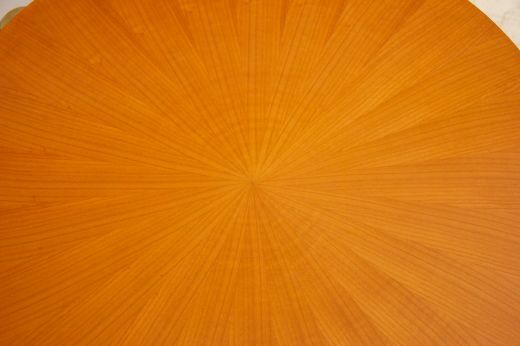 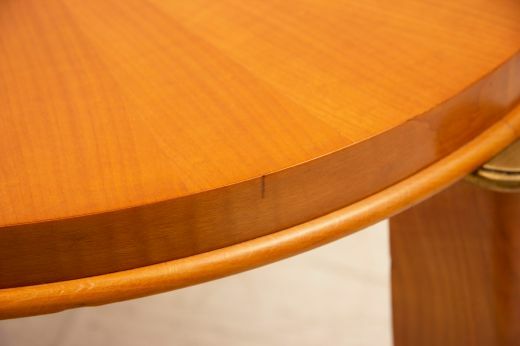 French Art Deco Sycamore Table by Maurice Jallot. 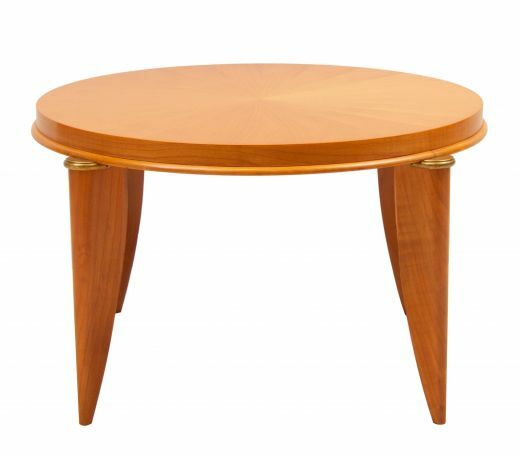 circular side table with radial veneer and bronze detail raised on sabre shape legs.